The other night, I was craving something filling yet made with some of summer’s finest produce – another salad just wouldn’t do! 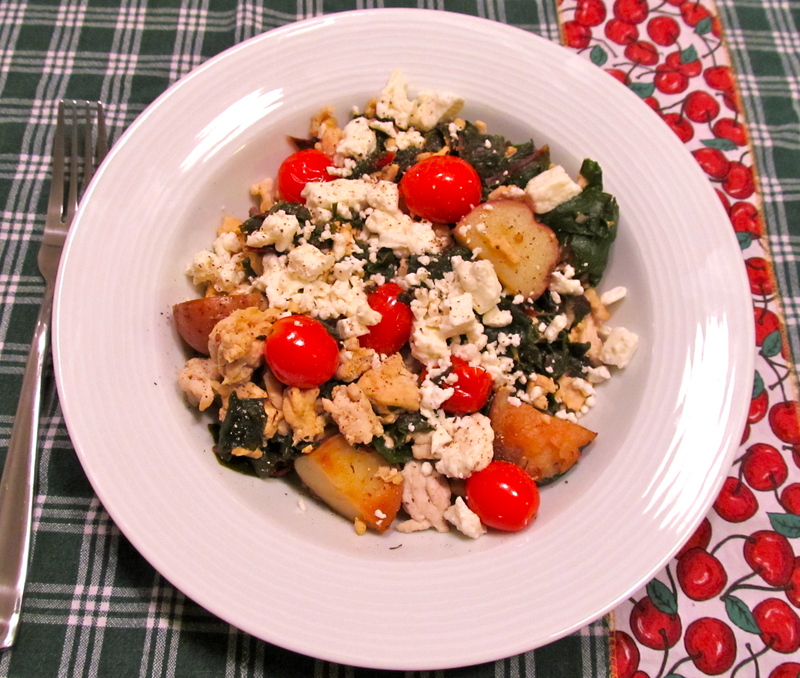 I remembered ripping the recipe for New Potato and Turkey Skillet Supper out of Clean Eating Magazine (above), so off I went to find swiss chard, grape tomatoes and, of course, new potatoes. I was tempted to leave out the lemon juice, but after tasting the delicious results, I’d advise against it! There is something about cooking in the summer – I know many people prefer not to due to the heat. But summer is when I feel creative, adventurous, and I have a little extra time to ponder the next culinary feat. Fresh produce inspires me to try all kinds of new things! So here’s to summer food love: bring on the kale, baby turnips, and tomatoes just off the vine!